With the birth of my second child on January 30, 2013 and my post as President of the New Mexico Quilters' Association for 2013, the past year was a whirlwind of activity. I haven't felt too productive with regard to quilting, as I have been otherwise occupied. Creating a mosiac of 2013 accomplishments has left me pleasantly surprised, bringing forth the realization that the past year has resulted in more than an obstacle course of children's toys that stretches throughout the entire house and a mountain of laundry that can readily function as a climbing structure for toddlers. Designing the 2014 Saturday Sampler for Quilts Ole. Winning Viewers Choice in the Quilters Newsletter Traditional to Modern Challenge. 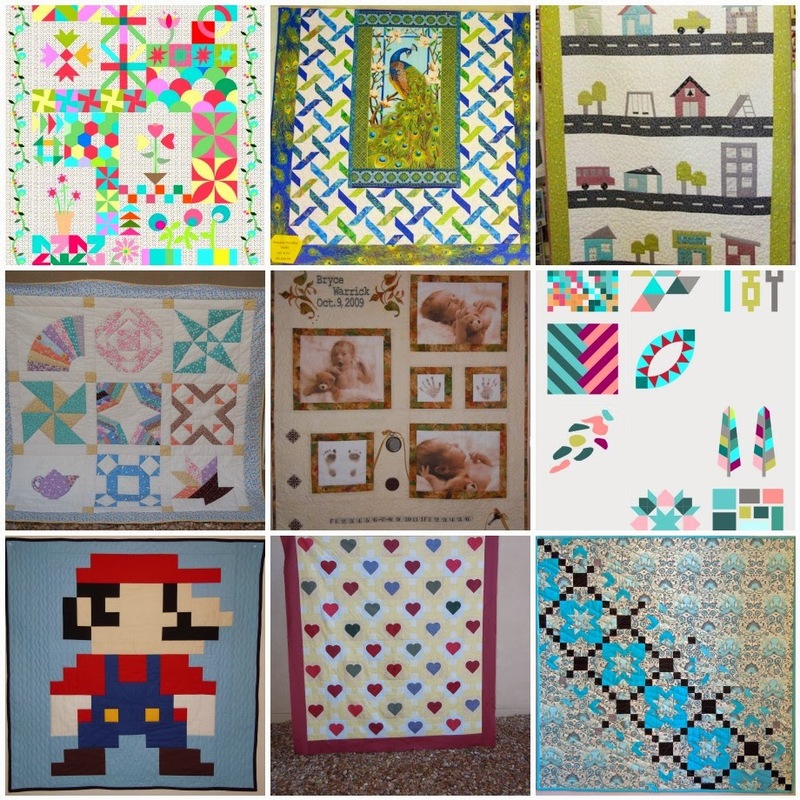 Having my Quilts Featured in the 2013 October/November and 2014 February/March issues of Quilters Newsletter. Paying for my hobby by working for Gail Garber, creating shop samples at Quilts Ole, and teaching quilting classes for the University of New Mexico Continuing Education Department. Serving as President of NMQA. Taking a few website classes (Dreamweaver & HTML Basics). Raising two children who I consider to be both delightful and adorable. Bringing my quilting profits closer to my expenses, though I'm not opposed to being a rich and famous quilter. Entering at least one quilt show, though I'm not opposed to winning ribbons either. Keeping up with the two online bees I've joined. Remembering how to cook and clean, once in a while. Not neglecting my family while I accomplish all this.